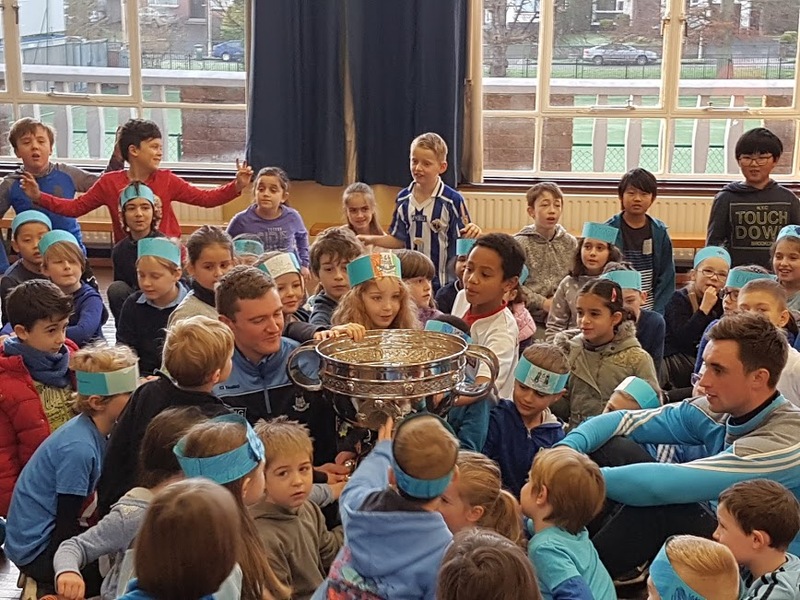 Just before the Winter holidays our school got a surprise visit from two Dublin hurling team players who brought with them none other than the Sam Maguire cup! All of the classes sang a song such as Molly Malone, Everywhere we go and many more. The classes got to do a ‘Q and A’ with the hurling players. After that, they got to take pictures with the Sam Maguire cup. Overall it was a fun day for all to remember.